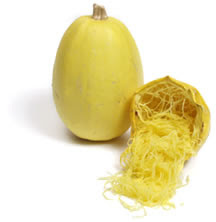 *Prick spaghetti squash all over with a skewer, place in shallow baking dish, bake at 350 for 1 hour. *Rinse black beans, cover with pure water (2 inches above beans), add Kombu, cover with tight lid, bring to boil over high heat. Once boiled, add ½ tsp Himalayan sea salt and transfer to oven at 325 for 75 minutes – check at 40 minutes to be sure there is enough water – add water if needed. *Chop onion into small pieces, press garlic and sauté on medium light with 1 ½ tbs olive oil until onions are translucent.